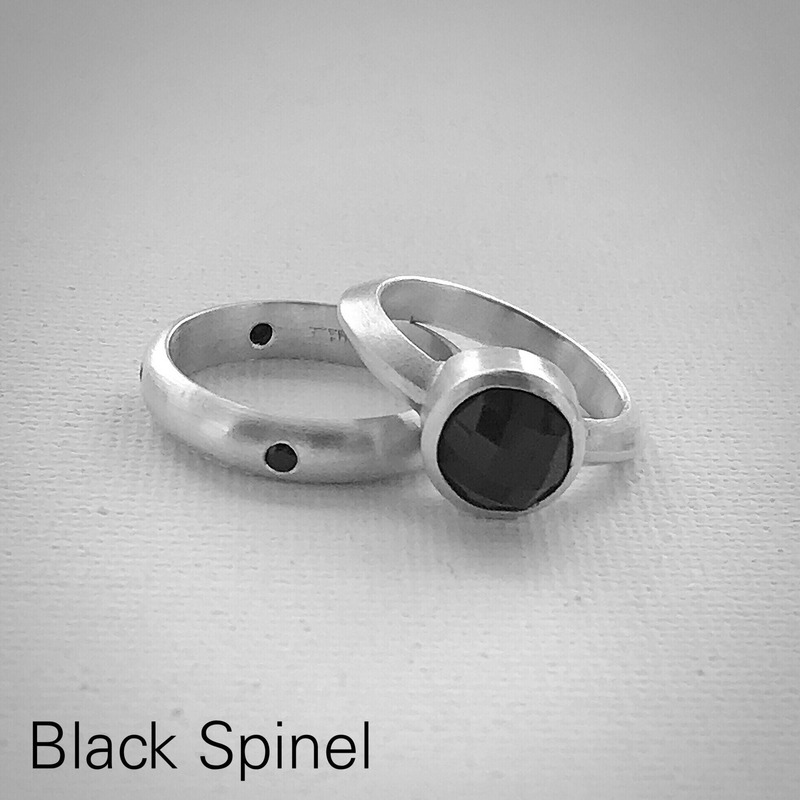 This gorgeous sterling silver bezel set ring features a beautiful 8mm rose cut stone. 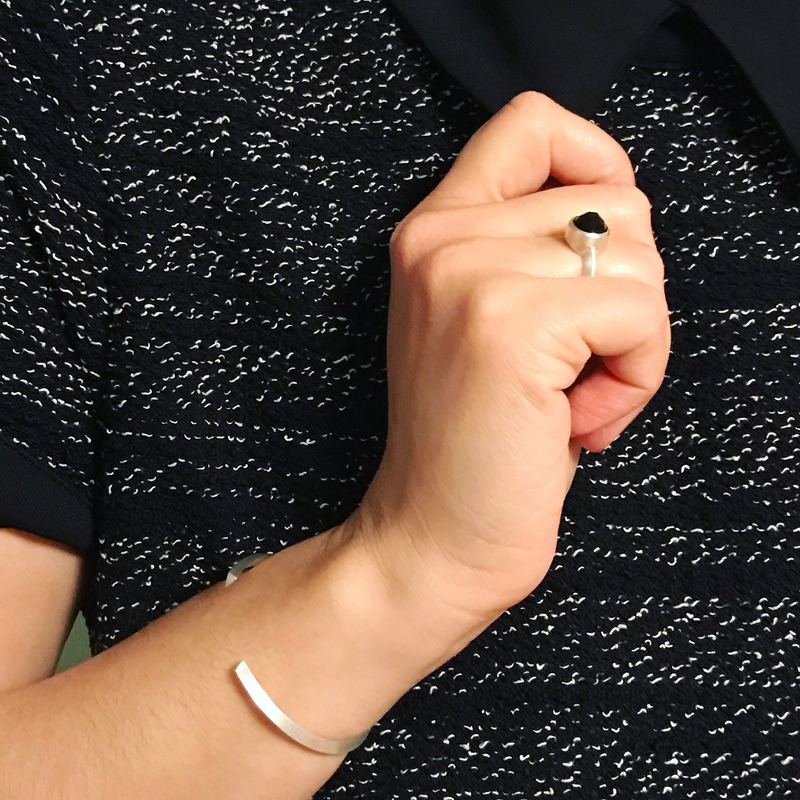 The triangular band gives an updated modern look to a classic setting. The bezel setting is contoured to the finger for ultimate comfort. 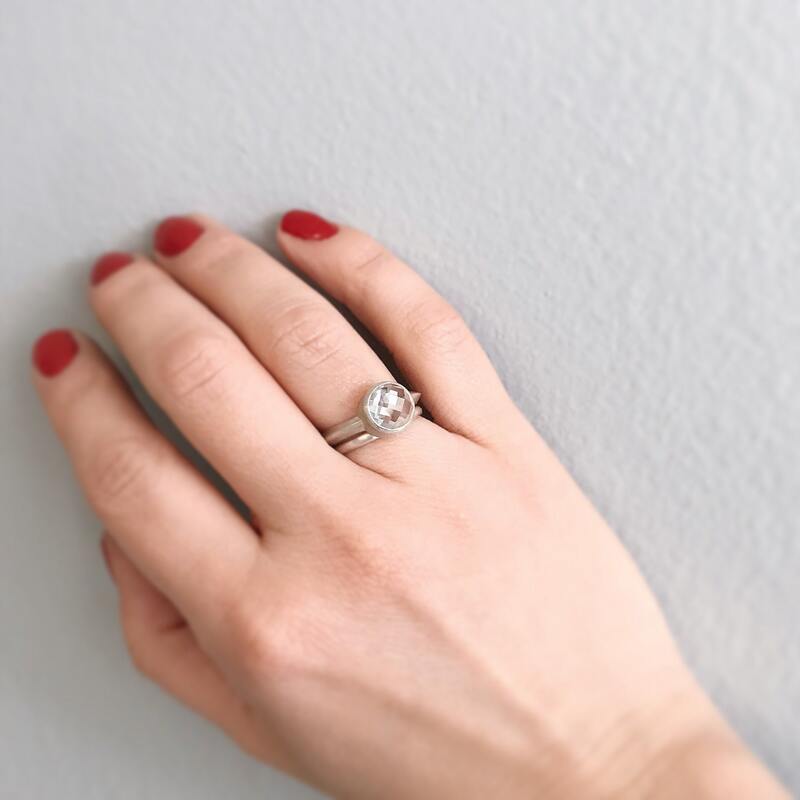 A truly stunning alternative to the traditional engagement ring for the modern bride. 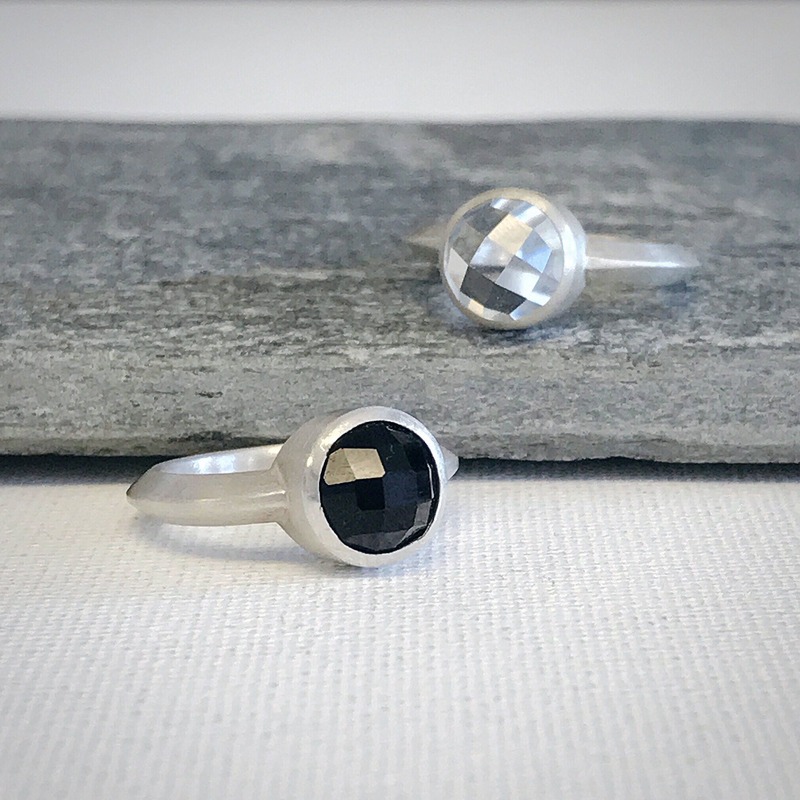 This ring is available in black onyx and white topaz. Please choose your desired stone at checkout. We want your ring to fit you perfectly! 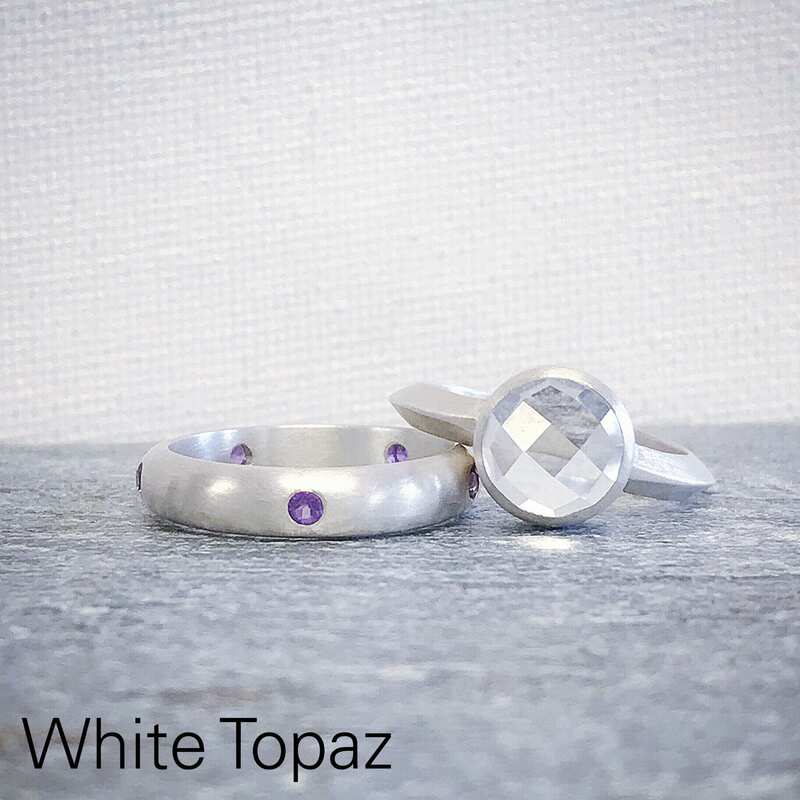 Each ring shank and bezel setting is made to order. Please feel free to contact us if you require a size other than what is listed.